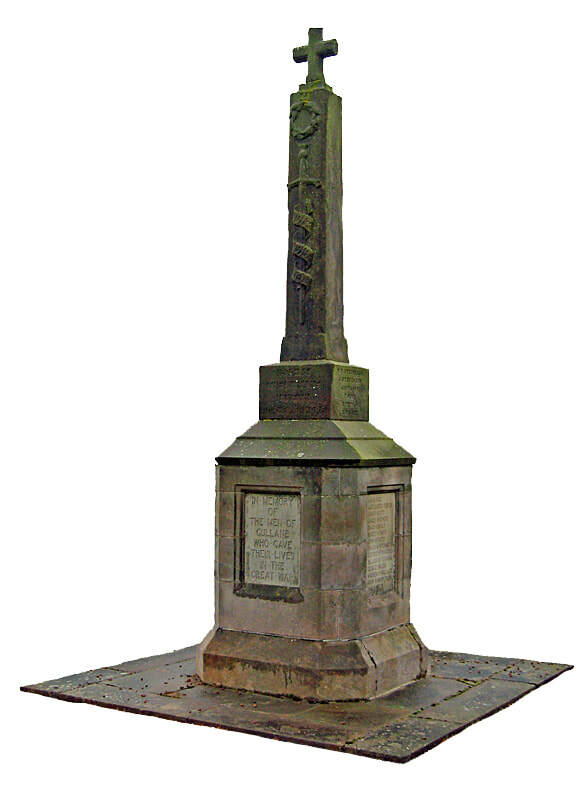 I have a large collection of War Memorial images, both in the UK and abroad and this section is due to be revamped with memorials listed in their respective regional locations etc* This page covers War Memorials in East, West and Midlothian, apart from the City of Edinburgh which has its own entry. Click here to view. 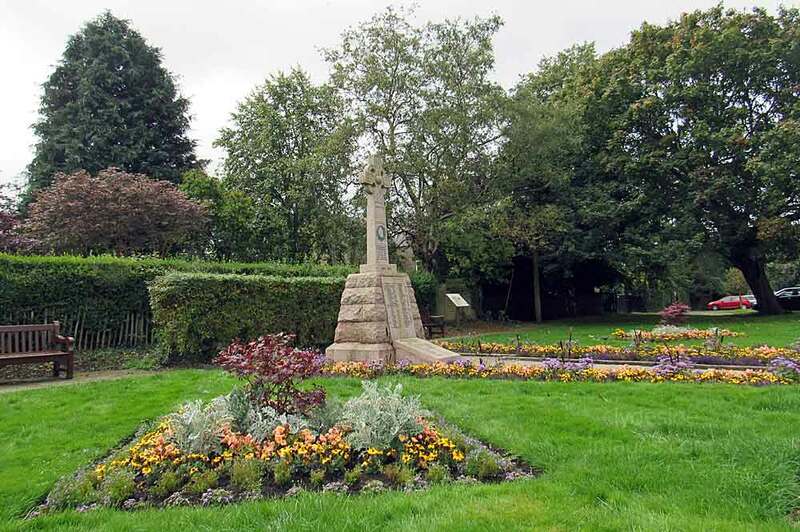 War Memorials here are listed in alphabetical location order irrespective of which part of the county they can be found in. 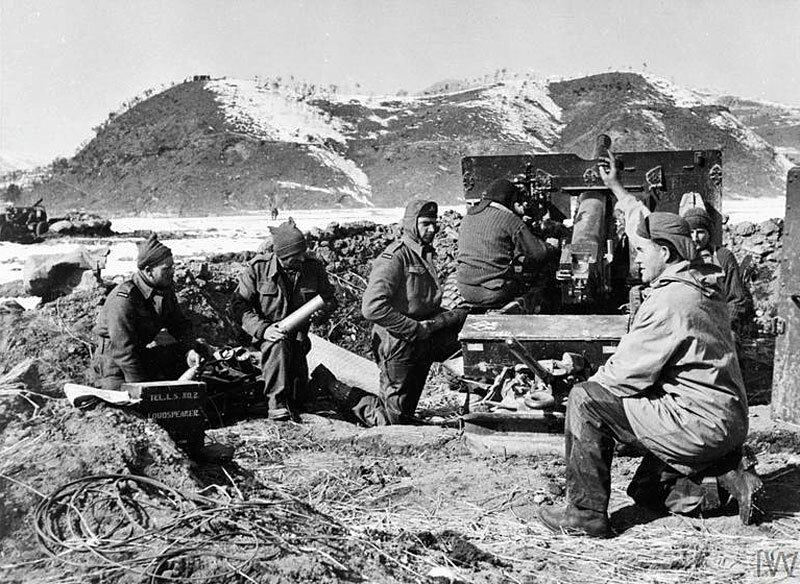 The Korean War was fought between North Korea and South Korea and began on 25 June 1950 when North Korea invaded the South. Following a series of clashes along the border, the United Nations, with the United States as the principal force, came to the aid of South Korea. 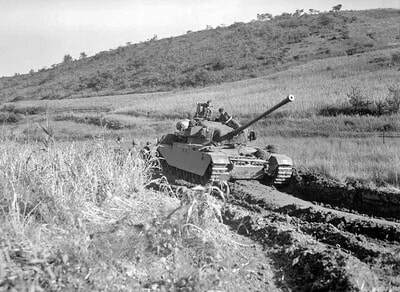 China came to the aid of North Korea, and the Soviet Union also gave some assistance to the North. The conflict soon became a war of attrition which saw the South Korean capital Seoul change hands four times. 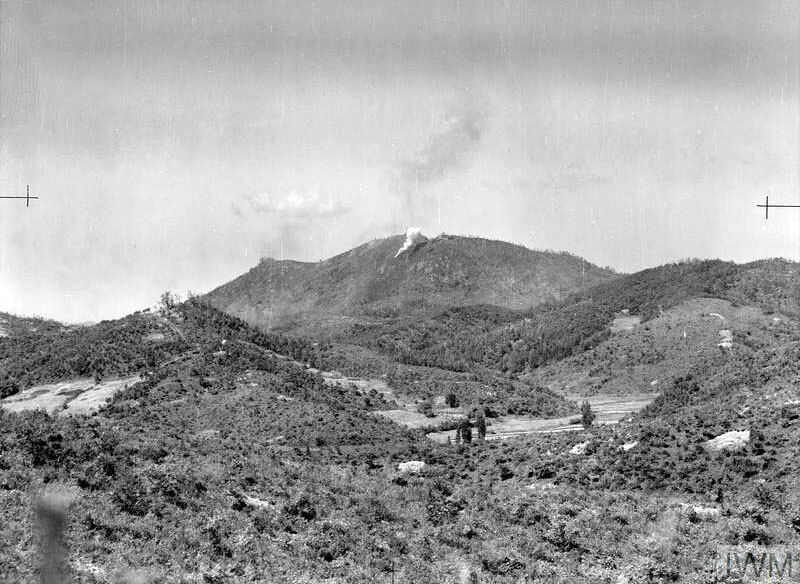 Jet fighters flew against each other in air-to-air combat for the first time in history, and Soviet pilots covertly flew in defence of their communist allies. 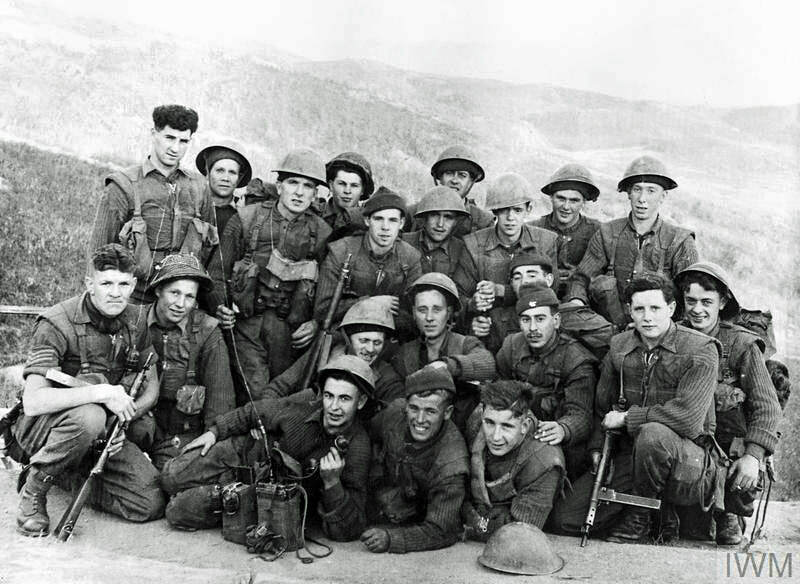 Hostilities officially ended on 27 July 1953, when an armistice was signed. 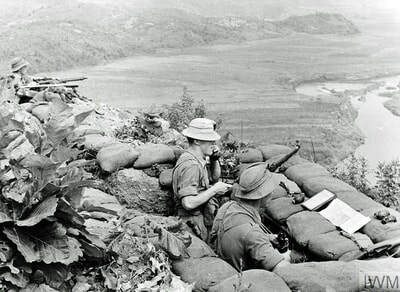 The agreement created the Korean Demilitarised Zone to separate North and South Korea, and allowed the return of prisoners. However, as no peace treaty has been signed, some sources are of the opinion that the two Koreas are technically still at war. It certainly seems that way given the current tensions on the Korean peninsula with the South Korean leader, Kim Jong-un, recklessly test firing a series of long-range ballistic missiles, despite almost universal condemnation. 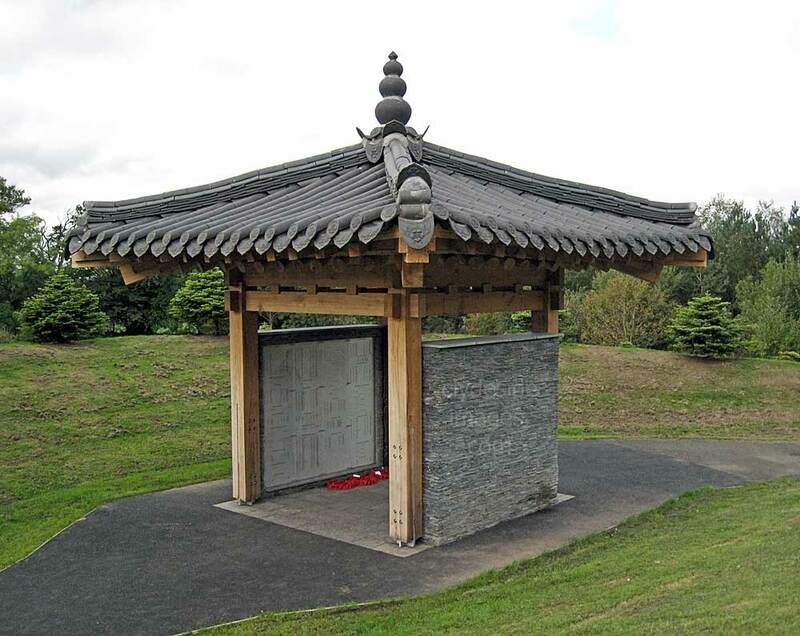 This memorial is the only national memorial in the UK devoted solely to the Fallen of the Korean War (1950-1953), often referred to as The Forgotten War. 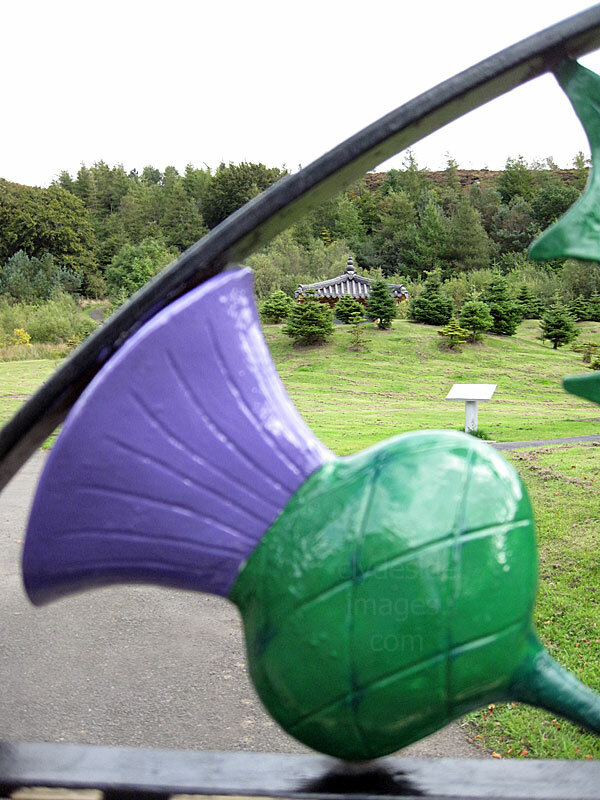 It stands in tranquil, landscaped gardens in Witchcraig Wood near Bathgate. 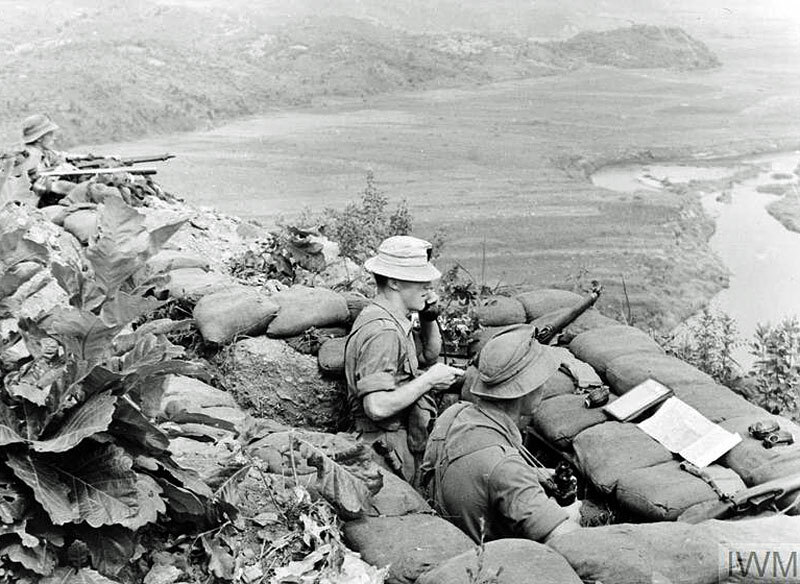 ​This hilly, tree covered countryside is reminiscent of areas of Korea that were to become bitterly-fought battlefields for many British troops. 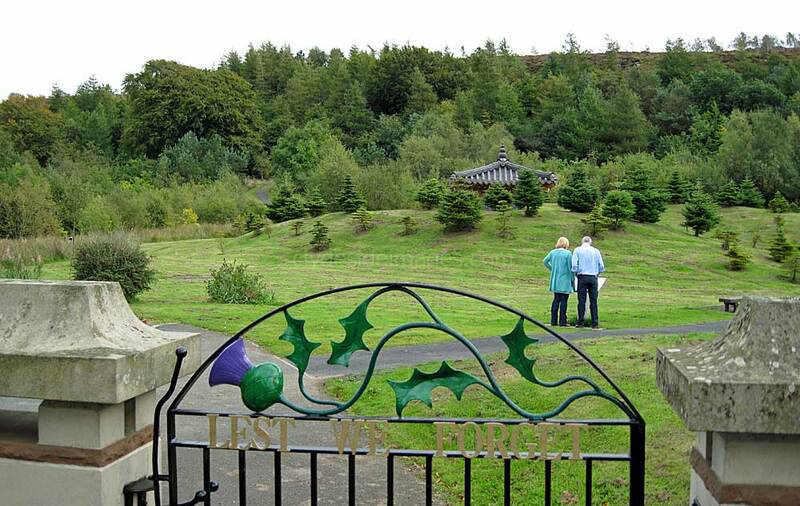 ​The memorial was unveiled on 27 June 2000 to mark the 50th anniversary of the start of the conflict. 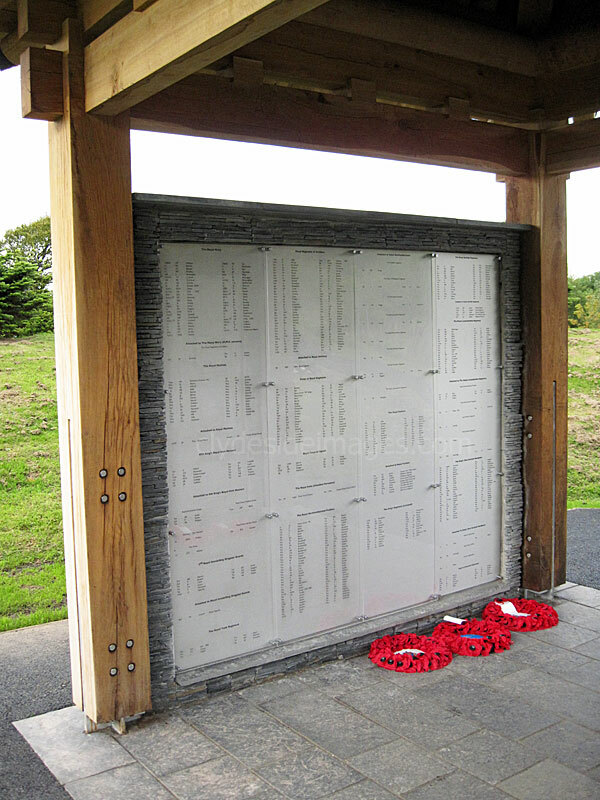 Panels inside the memorial pagoda list the names of 1,113 British servicemen, merchant seamen and war correspondents who were killed during the war. ​The structure is set between two mounds in the shape of Ying and Yang, the design which adorns the Korean flag. The mounds have been planted with 110 Korean firs, one tree for every ten servicemen killed. 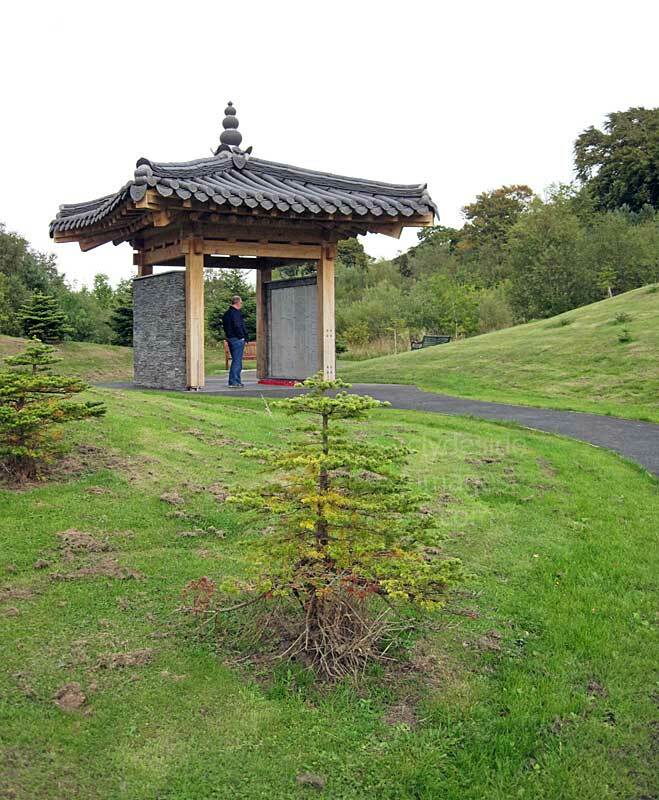 To the South and West of the pagoda is an arboretum of 1,100 native Scottish trees, one for each of the Fallen. The path leading to the memorial is named after Lt Col J.C.McQ. 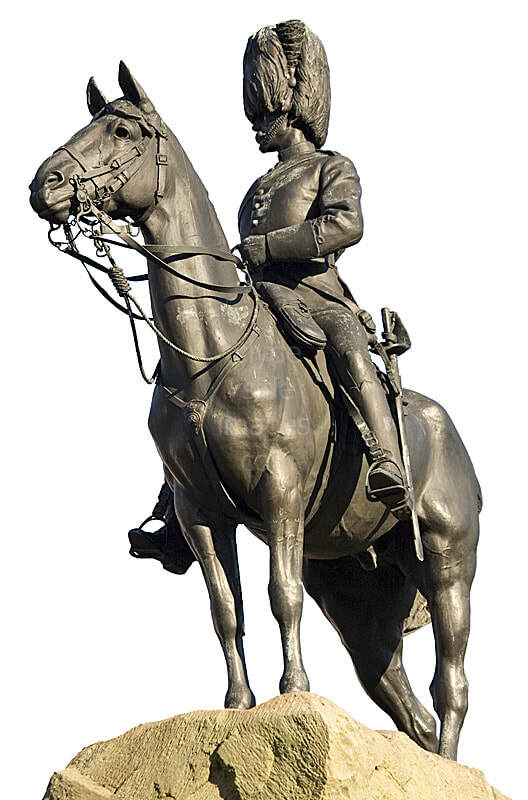 Johnston, KOSB, who was a major creator of the memorial while the path to the West is called United Nations Way. 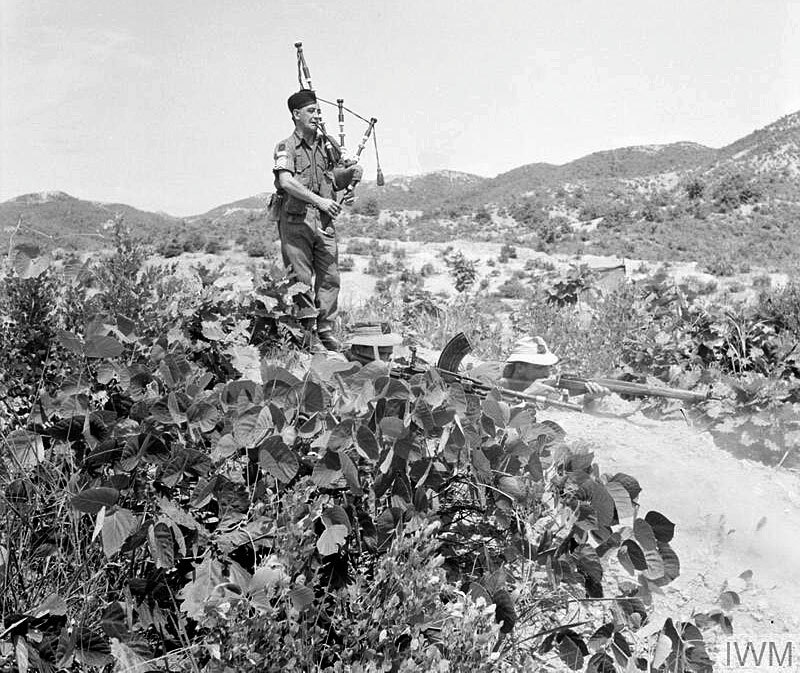 ​Above: Pipe-Major Don McKinnon blasting out a tune on the bagpipes while Drummer George White and Corporal Arthur Easton keep watch from a slit trench. 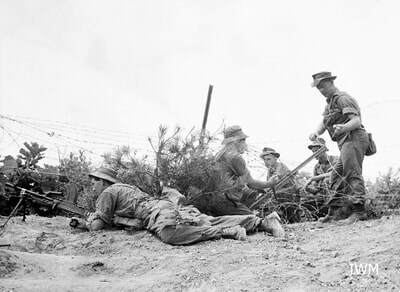 The other image above ​shows men of the 1st Battalion, King's Own Scottish Borderers arriving at Inchon, Korea, to relieve the 1st Battalion, The Argyll & Sutherland Highlanders. Pipers of the Royal Ulster Rifles are in the foreground. 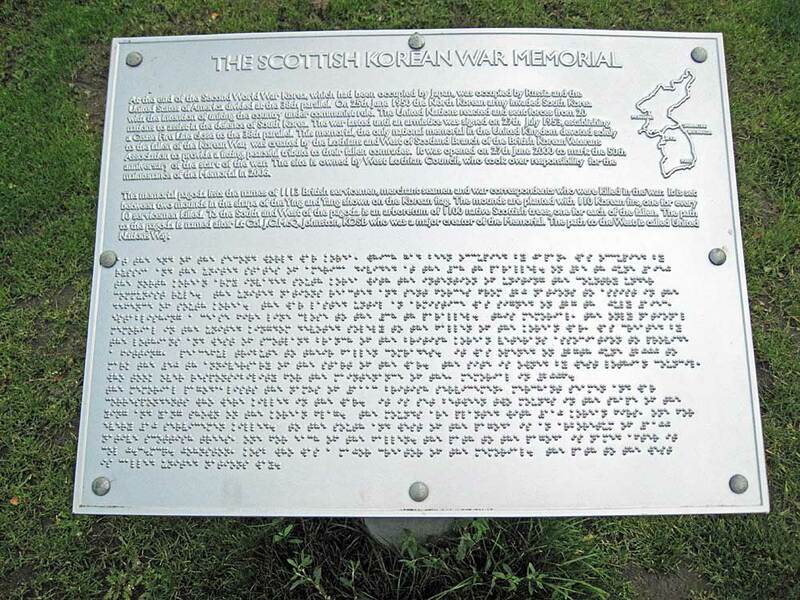 ​The text on this information panel has also been inscribed in Braille. 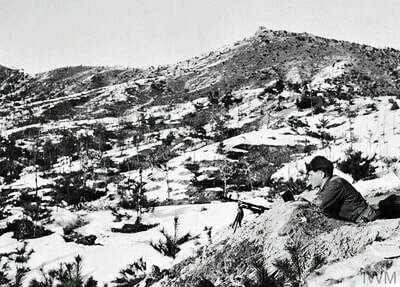 The United Nations Memorial Cemetery in Korea, located in the City of Busan (formerly Pusan), Republic of Korea, is a burial ground for United Nations Command (UNC) casualties of the Korean War. It is the only United Nations cemetery in the world and contains 2,300 graves set out in 22 sites designated by the nationalities of those buried service personnel. Among the graves of many brave men is that of Kenneth Muir VC who was killed in action during the Battle of Hill 282 while serving with the Argyll and Sutherland Highlanders. 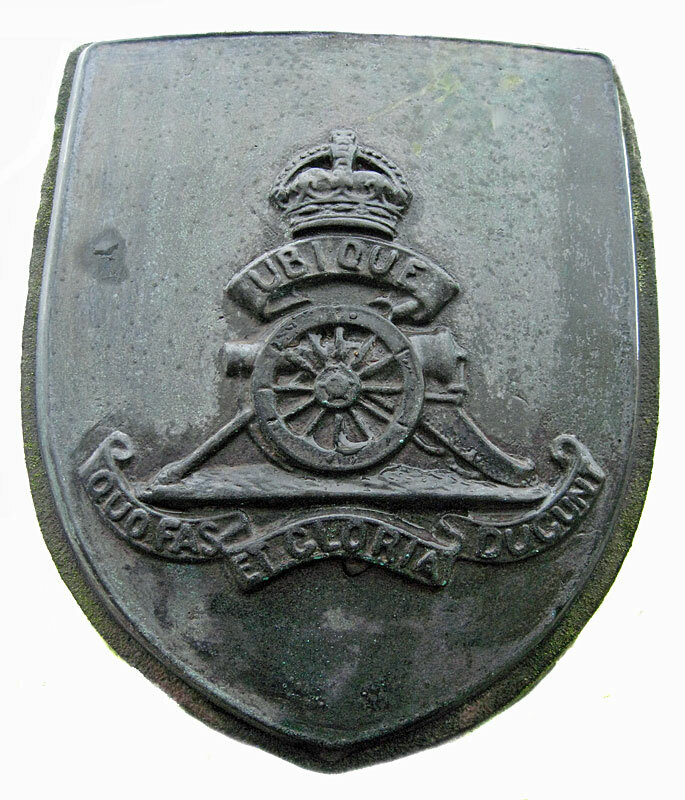 Also on the site is a memorial to Commonwealth soldiers whose burial places are unknown. 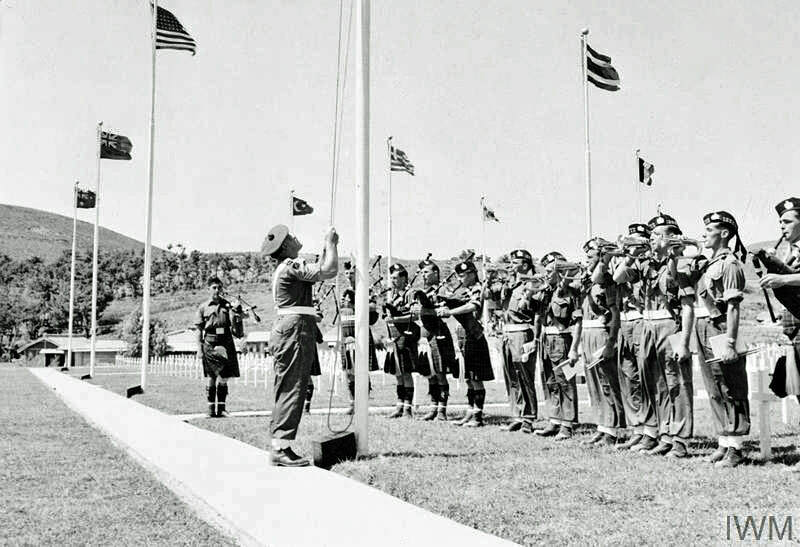 Shown here at the Commemoration Parade, Pusan Cemetery, are members of the 1st Battalion, the King's Own Scottish Borderers with pipes and bugles played as the flag is raised. 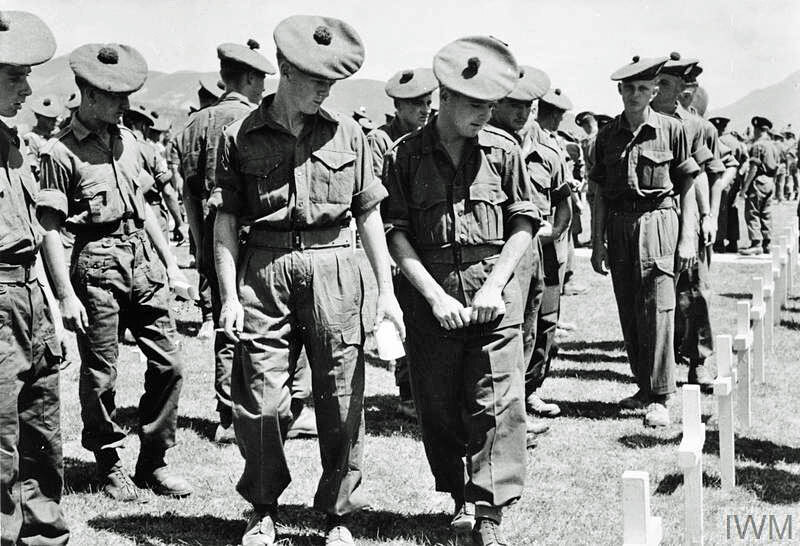 In the right-hand image, Privates of the 1st Battalion, King's Own Scottish Borderers, pass British crosses after a memorial service was held for fallen comrades. 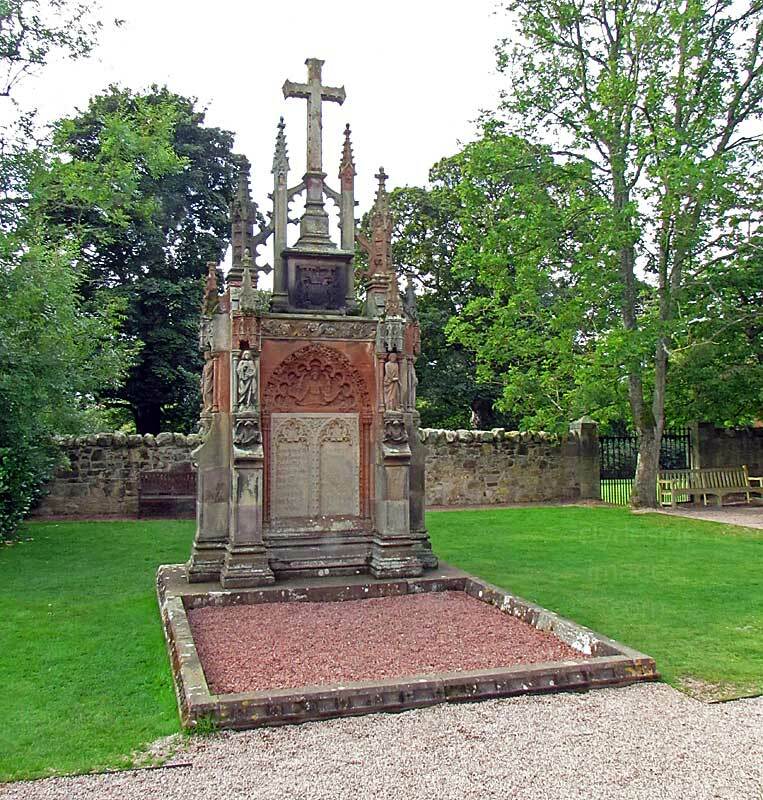 This War Memorial was erected to commemorate the men of Dirleton, East Lothian, who fell in the Great War. An additional panel was added to record fatalities from the 1939-45 conflict. 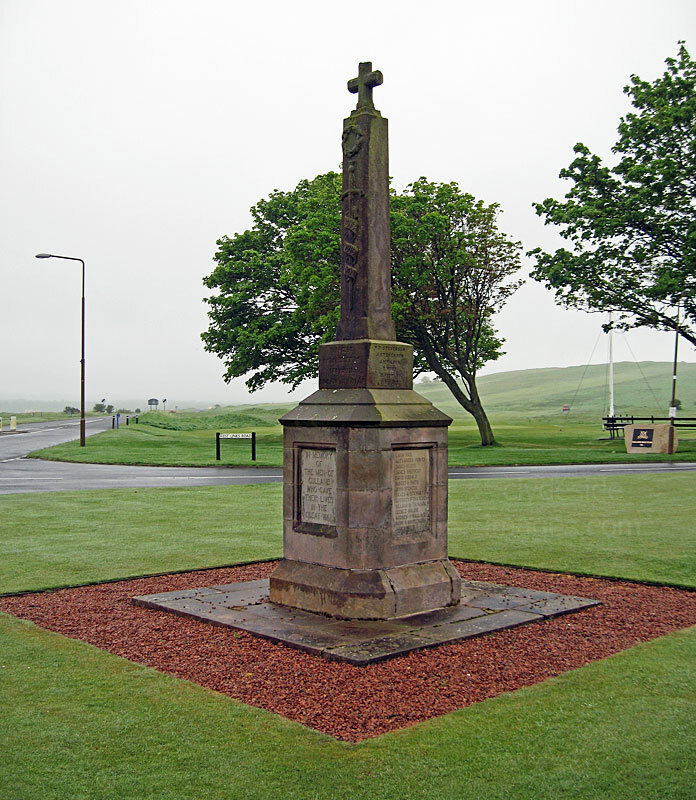 The memorial stands in a quite spot, on a green beside the historic village kirk. 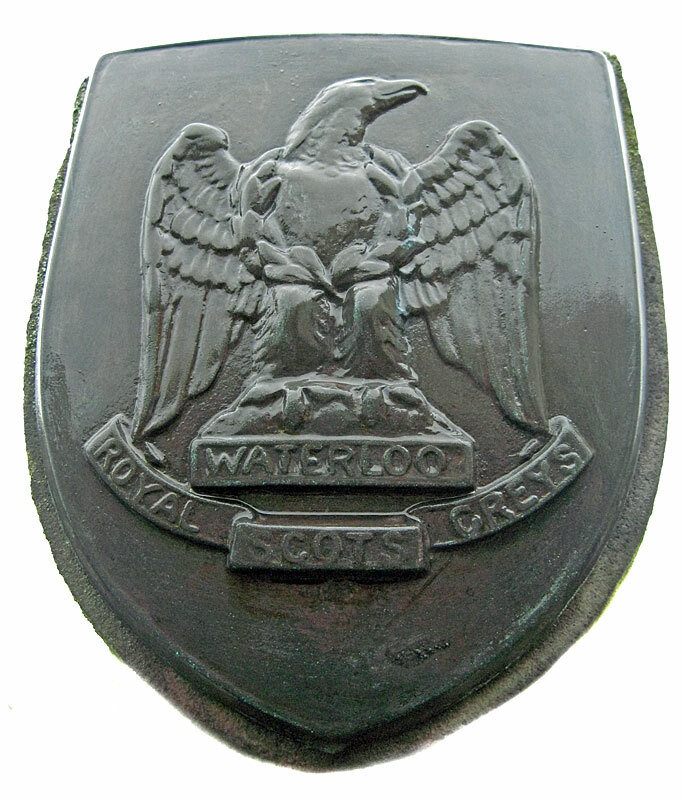 The headstone pictured below lies within the kirkyard itself and marks the grave of Alexander Graham Speirs Logie M.B.C.M., who served in the Royal Army Medical Corps (RAMC) during the Great War. 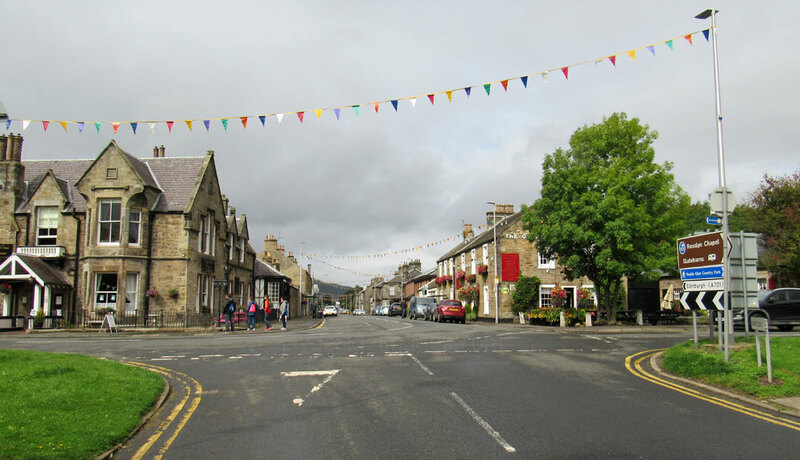 He was the son of Orcadian the Rev William Logie D.D. 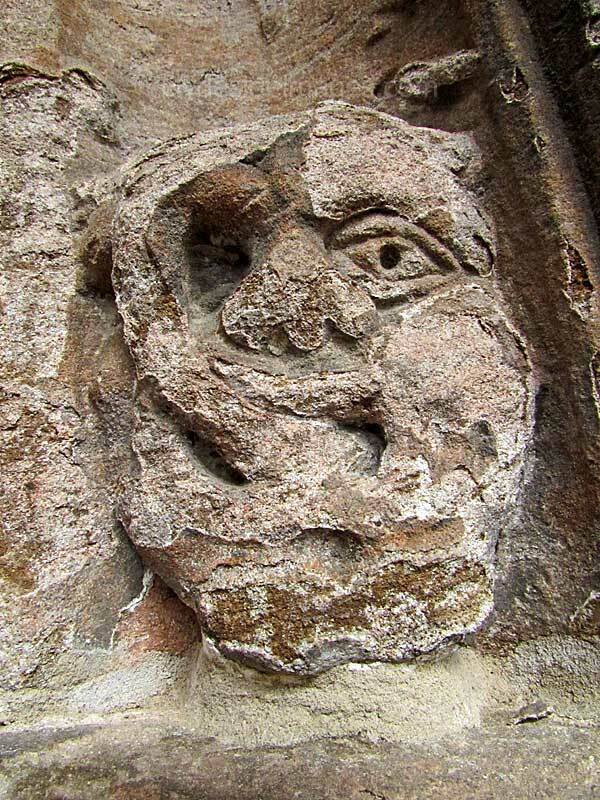 who was the parish minister at Dirleton for 14 years. 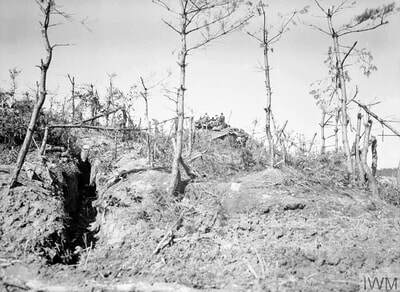 Alexander Speirs died shortly after the war ended on 1 February 1919 but there is no information to say whether he succumbed from injuries sustained during the conflict. 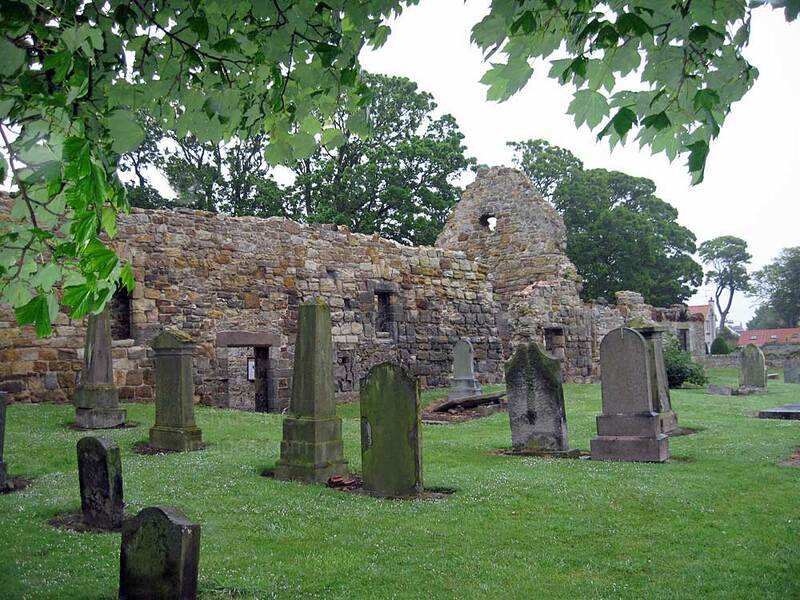 This is the Old Church of St Andrew in the East Lothian town of Gullane. 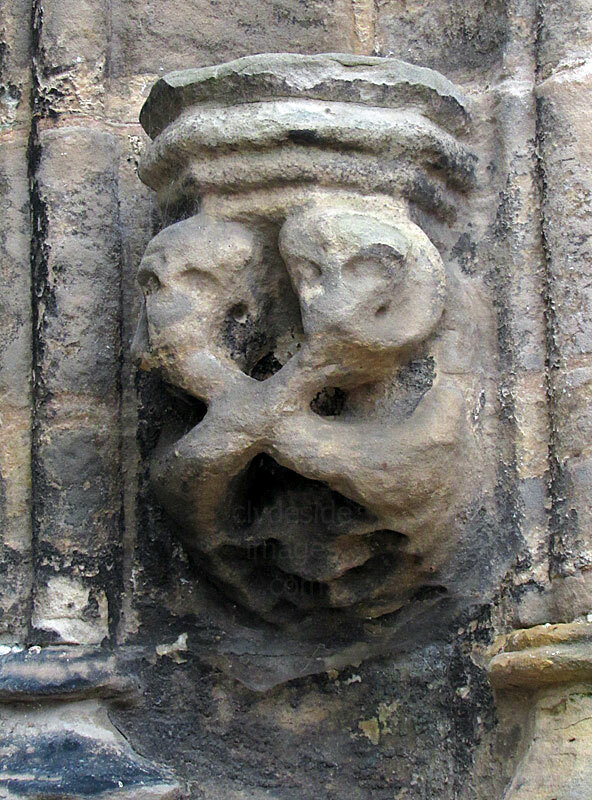 Christian worship has taken place at this location since ancient times and a stone cross was erected near this spot. A church dedicated to the Saint was established here, probably as early as the 9th Century, and three centuries later work began on the simple Norman Church the remains of which can be seen today. 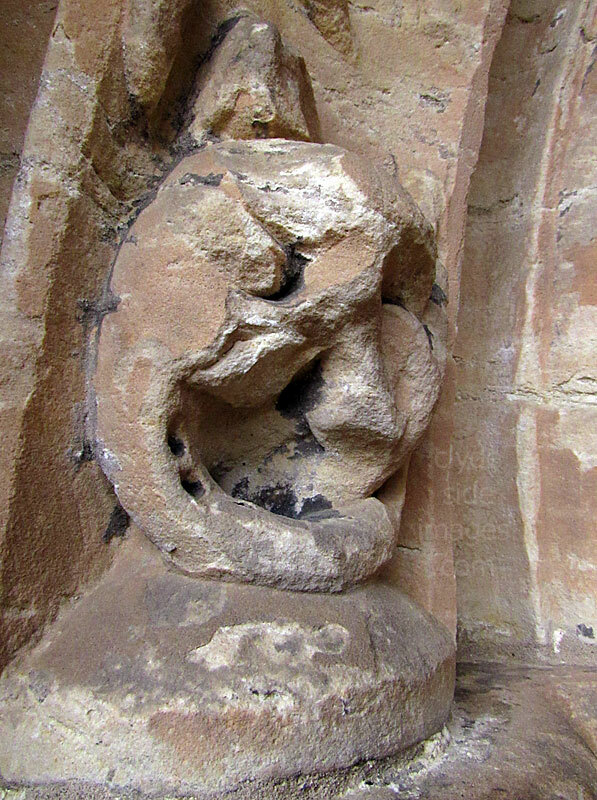 The church was built by the de Vaux family, originally from Rouen in Normandy, who followed William the Conqueror to Britain. 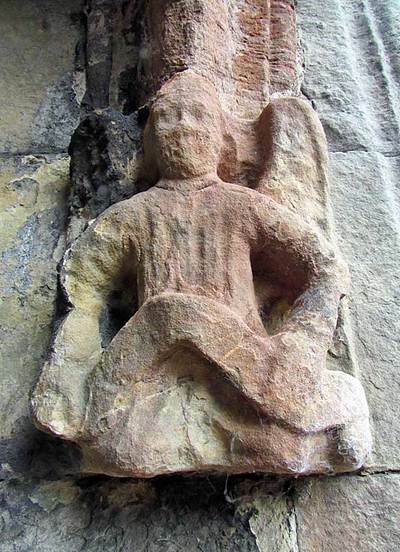 When David I became King of Scotland in 1124, he granted land to many Anglo-Norman knights from the English court of Henry I and the de Vaux were given possession of Dirleton and Gullane. 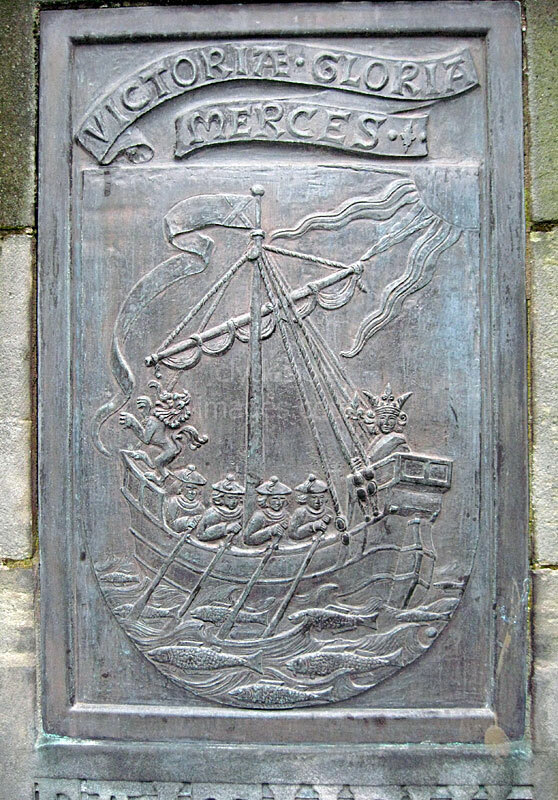 Nearby Dirleton, also on the south side of the Firth of Forth, was a larger settlement and in 1612, the Scots Parliament decreed that the church should transfer there, partly because the building at Gullane stood in an exposed position and was constantly being covered by wind-blown sand, but mainly to make it more convenient for the parishioners, most of whom stayed in Dirleton. Thereafter, St Andrew`s Church soon fell into disrepair and in the 19th Century, when Gullane became a popular holiday and golfing resort, three other churches were built to serve the religious needs of the town`s residents. 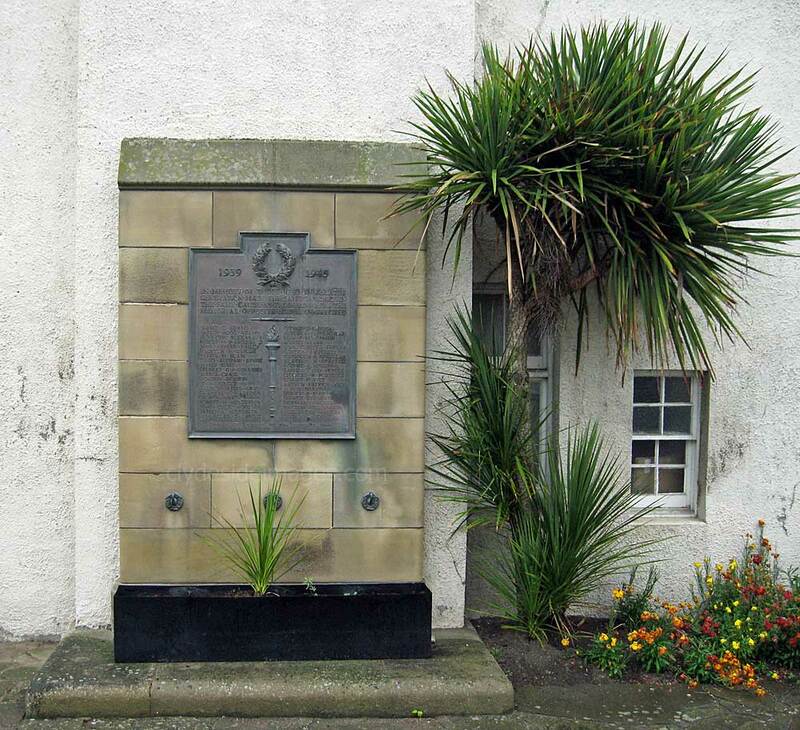 ​This is the War Memorial that stands in the Royal Burgh of North Berwick, East Lothian, to commemorate the men from the historic town and surrounding area who were lost during the Great War. 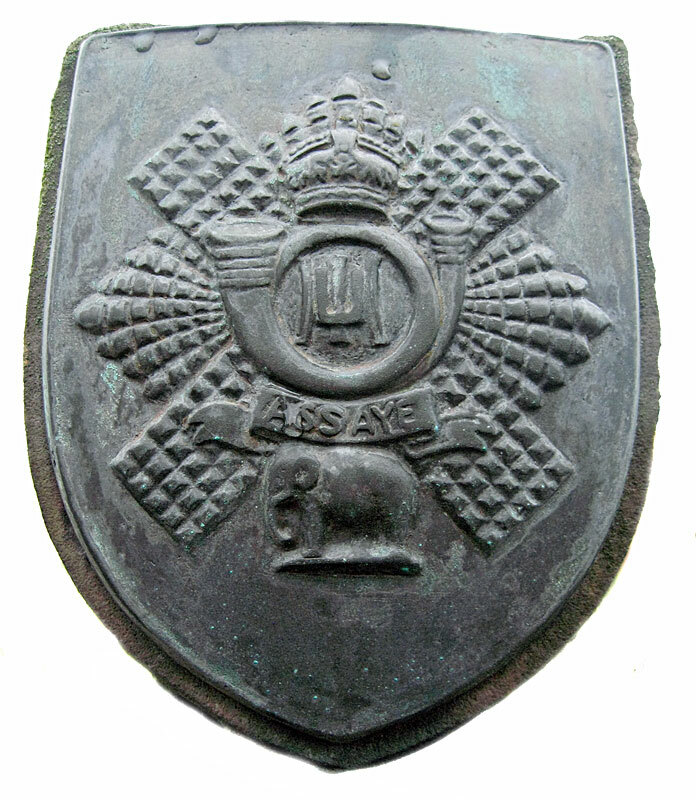 A unicorn bearing a shield adorned with a saltire sits atop a high plinth on a base bearing panels with the names of the Fallen. ​The seaside town, with its fine beaches and a golf course at each end, became a fashionable holiday resort in the 1800s. The harbour here dates from the 12th century and with many well-preserved old buildings, North Berwick is an interesting place to explore on foot. This ornate street lamp stands close to the War Memorial. 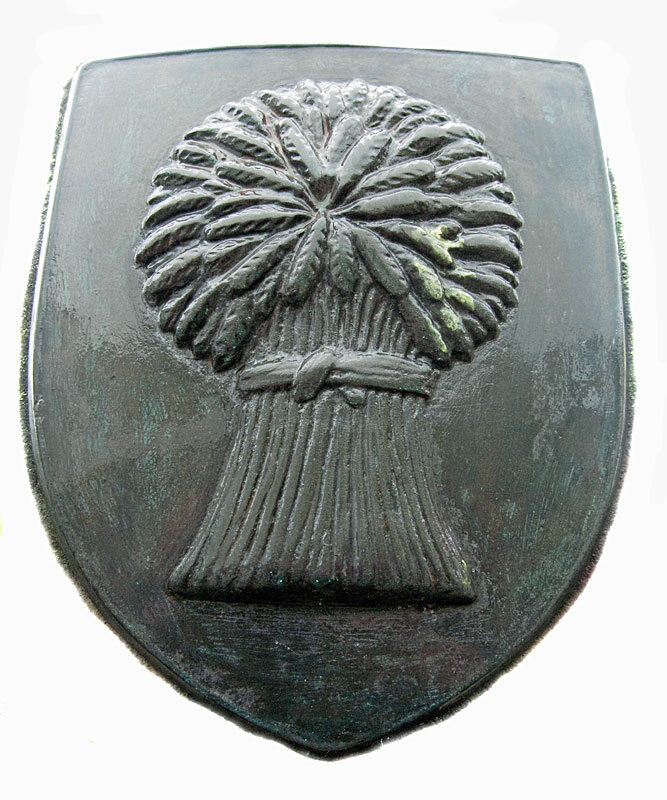 In addition to the panels bearing the names of the Fallen, a number of Regimental crests have been sculpted. As well as that of the Royal Scots (not shown) are the following: The Gordon Highlanders. 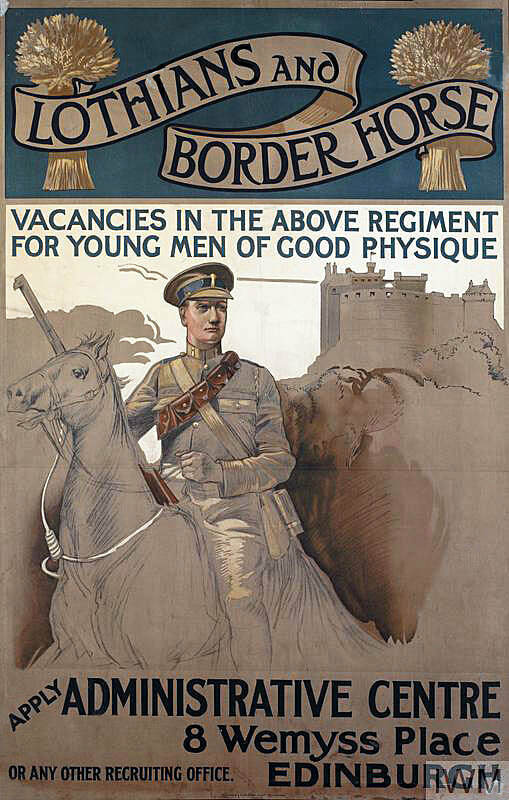 King`s Own Scottish Borderers. 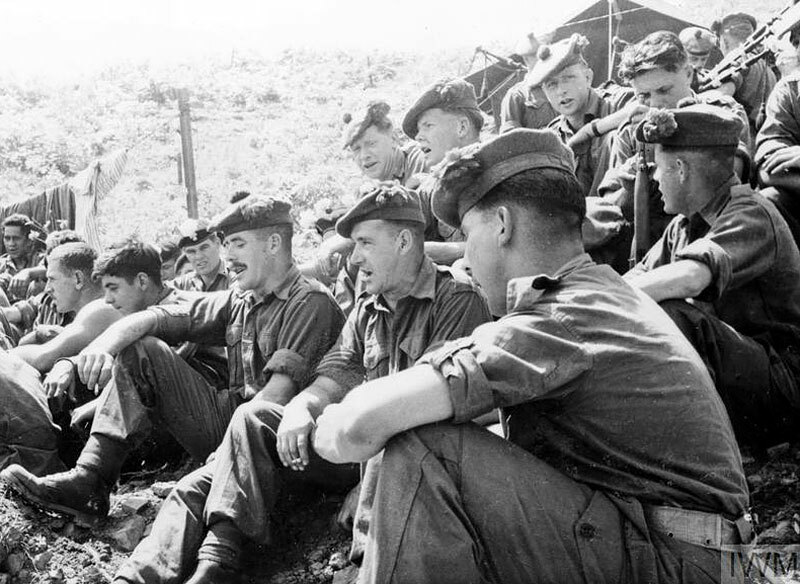 Argyll & Sutherland Highlanders. An additional panel to commemorate the casualties from the Second World War has been fixed to the gable end of an adjacent building. 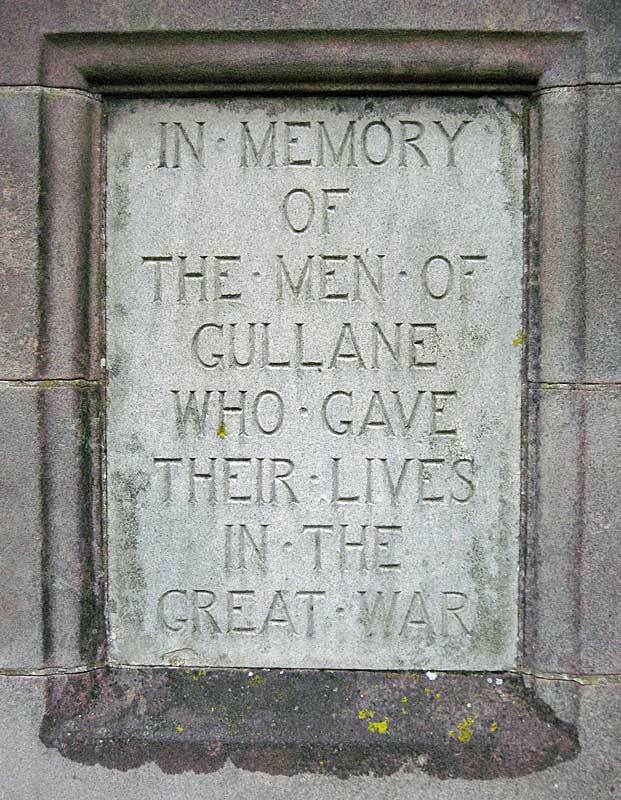 This memorial sits beside the Scottish Seabird Centre at North Berwick within view of the Bass Rock. It not only commemorates the personnel of RAF Coastal Command who lost their lives in the Second World War but also recognises the vital role Coastal Command played in defeating the Nazi U-boat menace and protecting the shipping lanes. 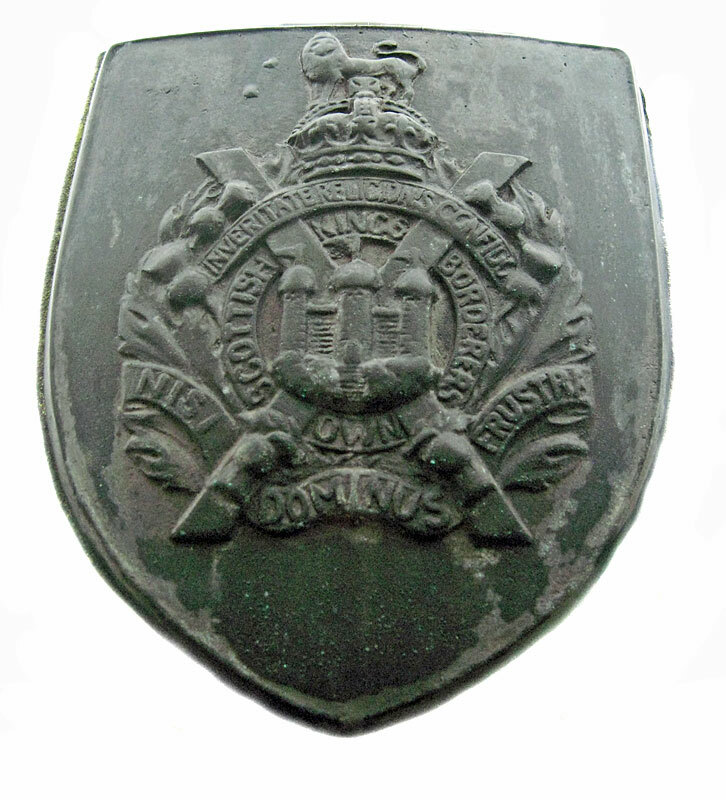 It is one of two such memorials in the UK, each named `Constant Endeavour` which was the motto of Coastal Command. The other is located within London`s Westminster Abbey. 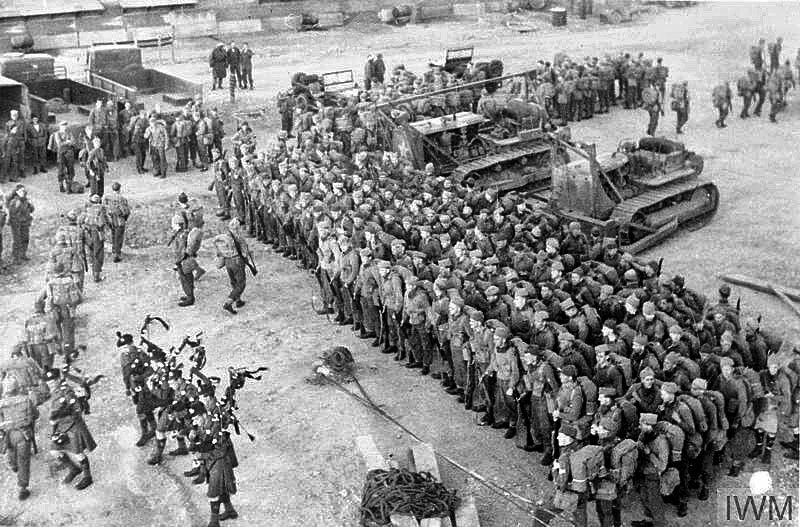 Scotland was strategically important for operations in both the Battle of the Atlantic and the North Sea. Long-range flying boats were based on the coast at Oban, Invergordon and Sullom Voe, and many other types of aircraft flew missions from inland airfields dotted around the country. 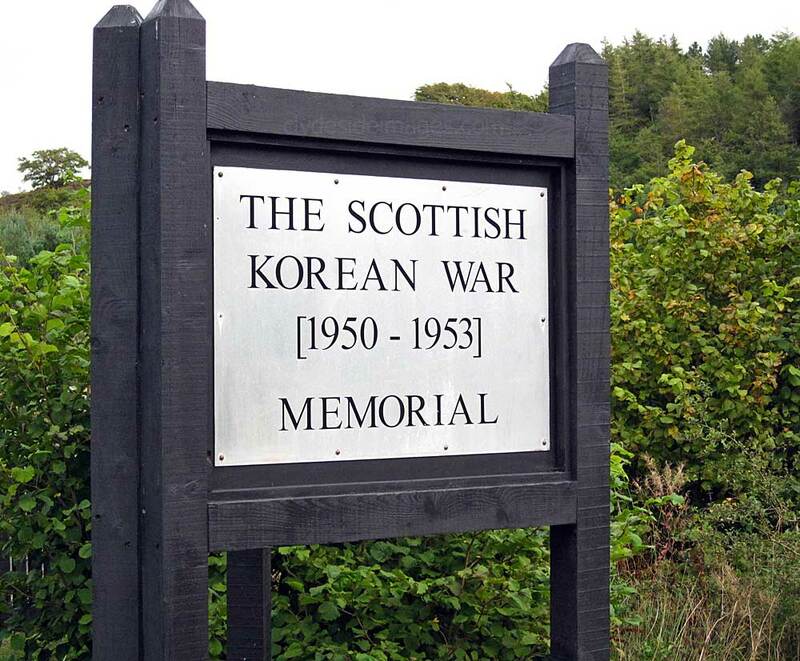 It is fitting therefore that one of the memorials should be placed north of the border. 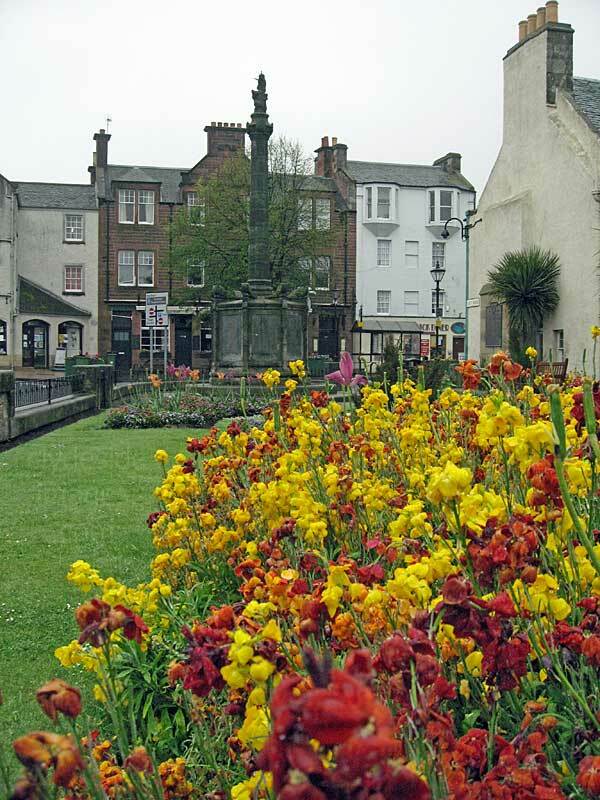 Roslin is a village in Midlothian, approximately 11 Km (7 miles) south of Edinburgh. It stands on high ground, near the northwest bank of the river North Esk on the west side of Roslin Glen, which is now a country park. 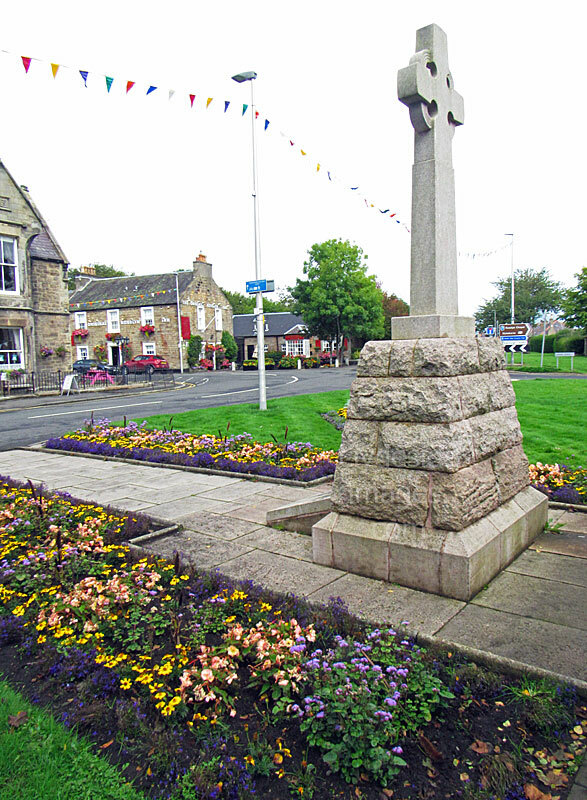 The village War Memorial stands on a landscaped grassy area beside Penicuick Road (B7003), the village`s main thoroughfare, and takes the form of a Celtic Cross with a wreath set on a pedestal. 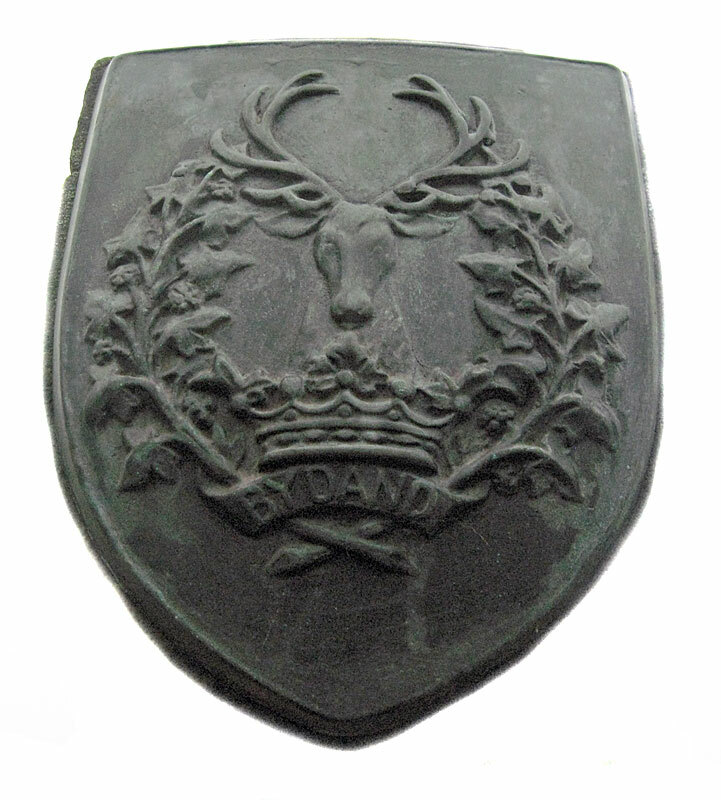 It’s dedicated `To the Memory of Those from Roslin and District Who Gave Their Lives for Freedom, King and Country. 1914-1919`. 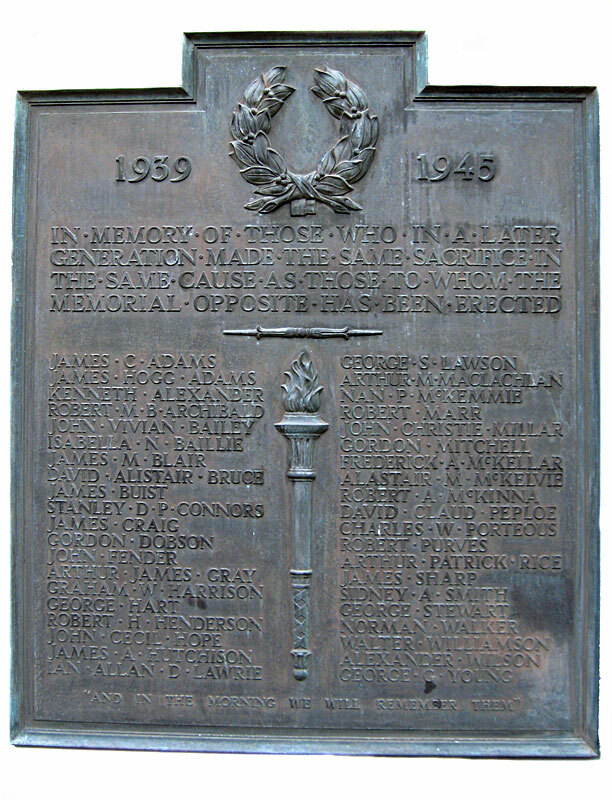 Names of those who died during the Great War are listed on a panel at the front of the base with casualties from 1939-1945 shown on the projecting slab below. 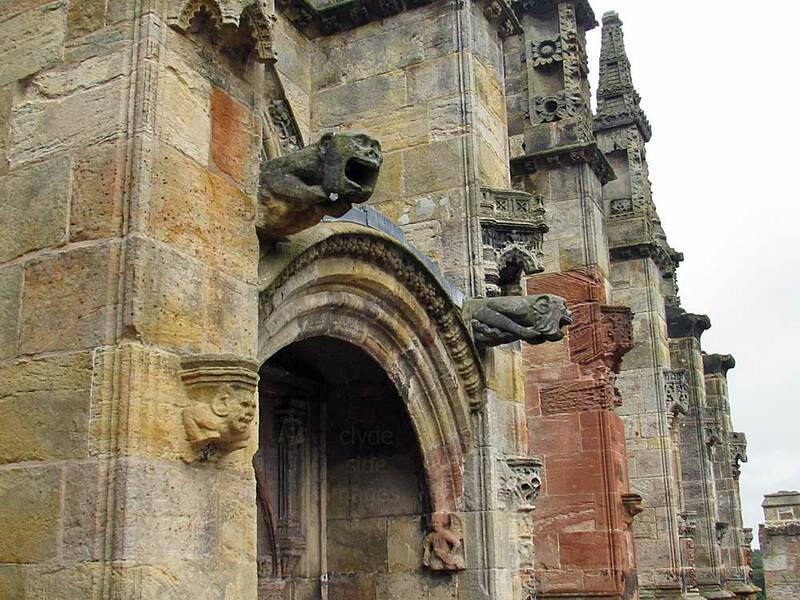 Despite its modest size, Roslin attracts tens-of-thousands of visitors from across the globe every year, most of whom`s sole purpose is to see Rosslyn Chapel. 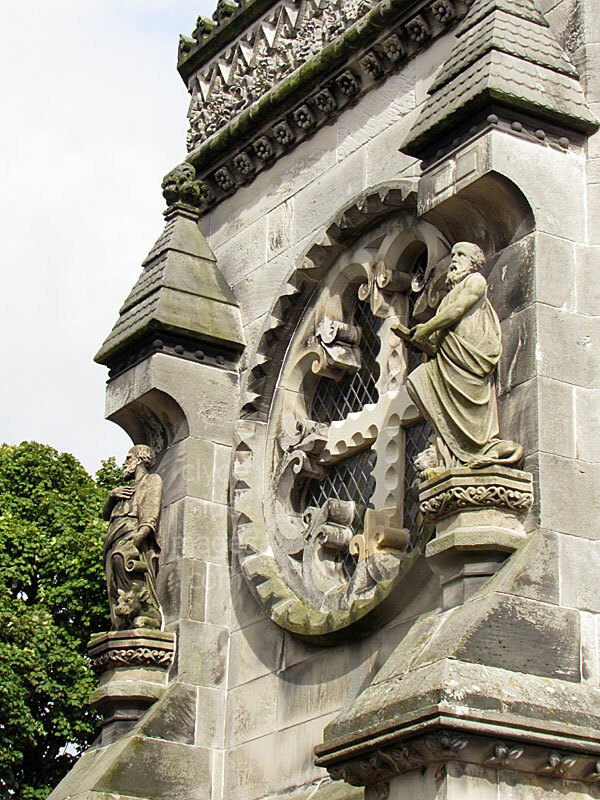 Founded in 1446, as the Collegiate Church of St Matthew, the house of worship has long been associated with the Knights Templar and the legend of the Holy Grail. 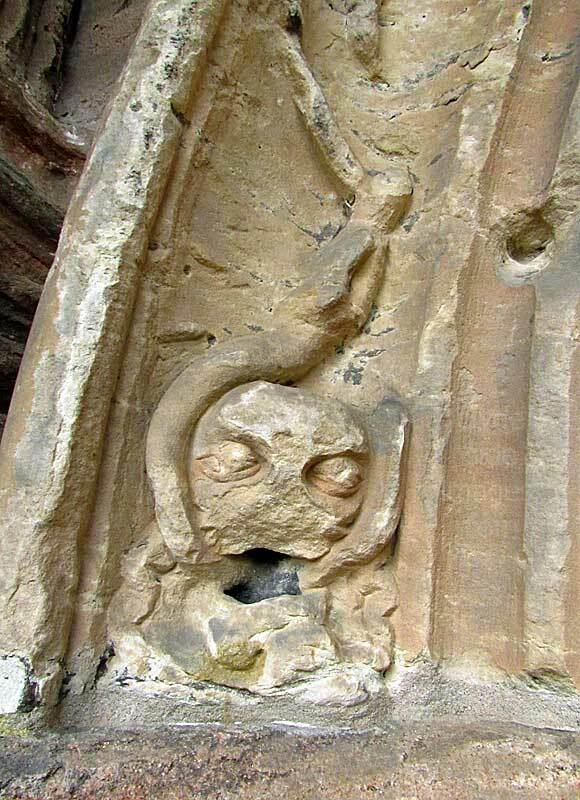 The chapel took some 40 years to build and its ornate stonework and mysterious symbolism have intrigued visitors ever since. 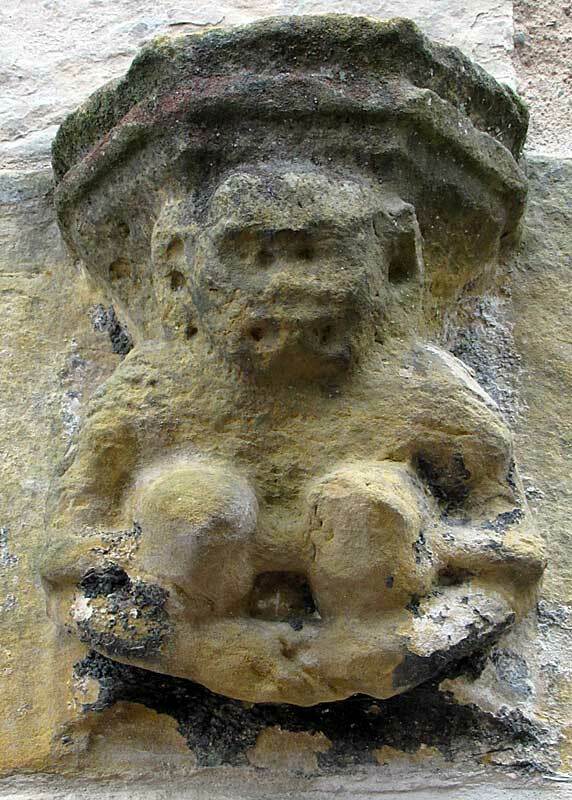 Almost every surface boasts carved stonework, much of which relates to stories from the Bible, emphasis moral messages or celebrates nature. Today, there are countless theories, myths and legends associated with the Chapel, many of which are impossible to prove or disprove conclusively. ​A new state-of-the-art visitor centre tells the Chapel’s story – from its 15th century origins, through the Reformation, to the Da Vinci Code – and has an attractive coffee shop and gift shop. 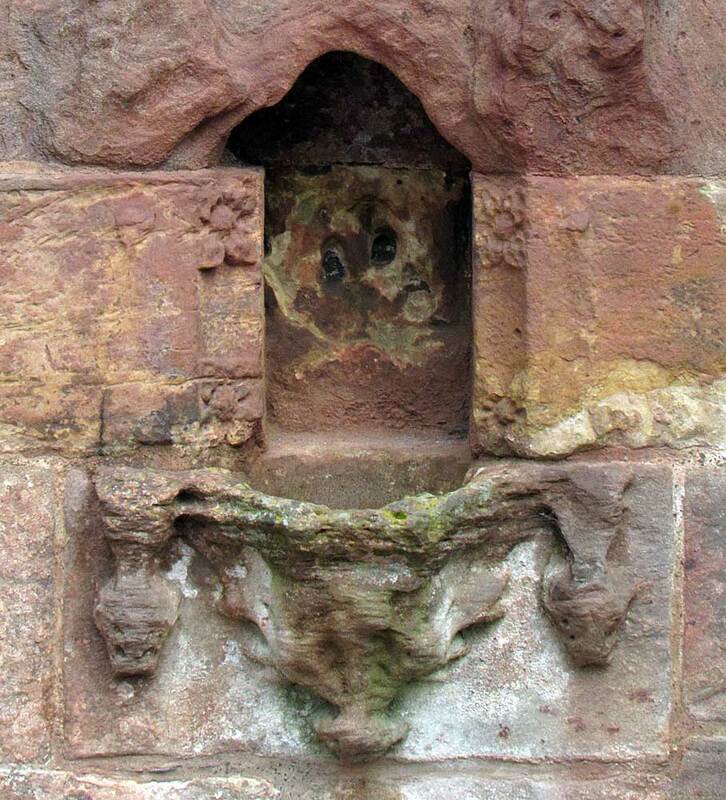 Although you can take pictures of the chapel`s exterior and in the grounds, no photography is permitted inside the building. 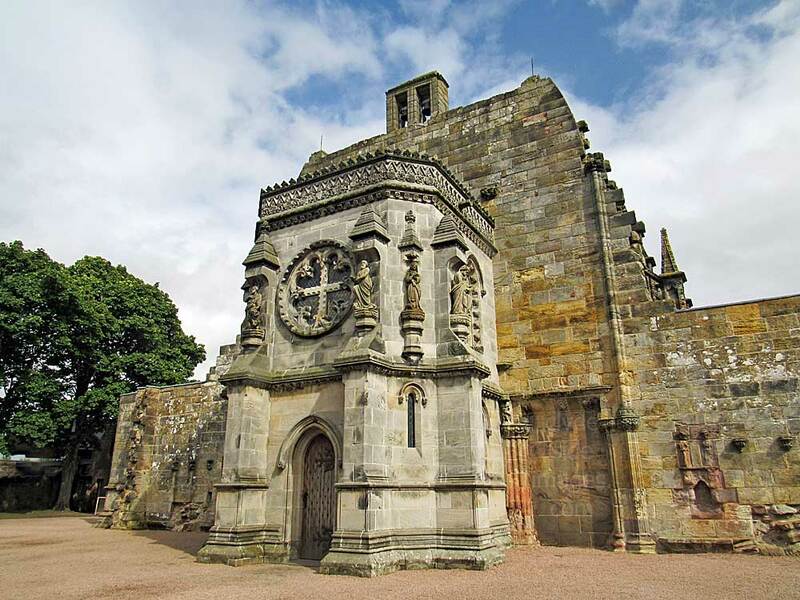 Visitor numbers to Roslin were boosted dramatically after the publication in 2003 of Dan Brown`s best-selling fictional novel `The Da Vinci Code` and the feature film of the same name starring Tom Hanks which was released three years later. 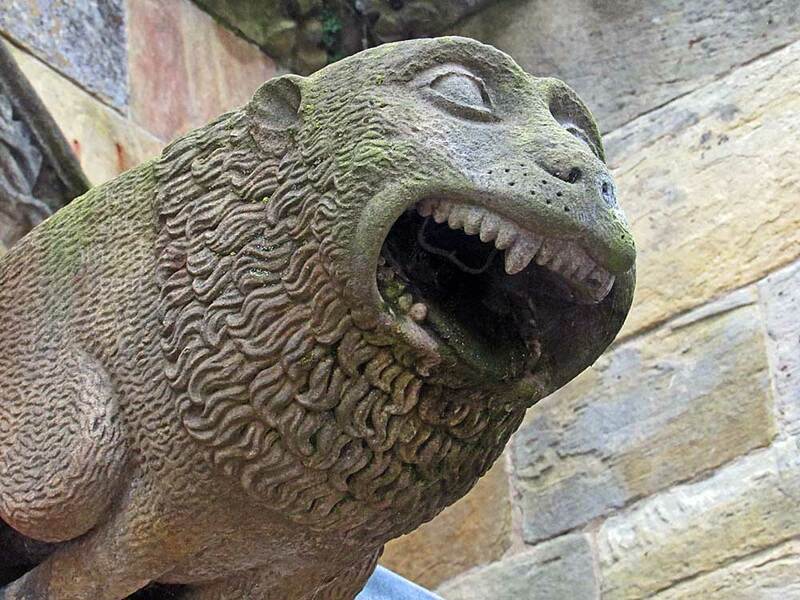 ​Rosslyn Chapel was established as a family church and a number of family members have been laid to rest in the grounds. 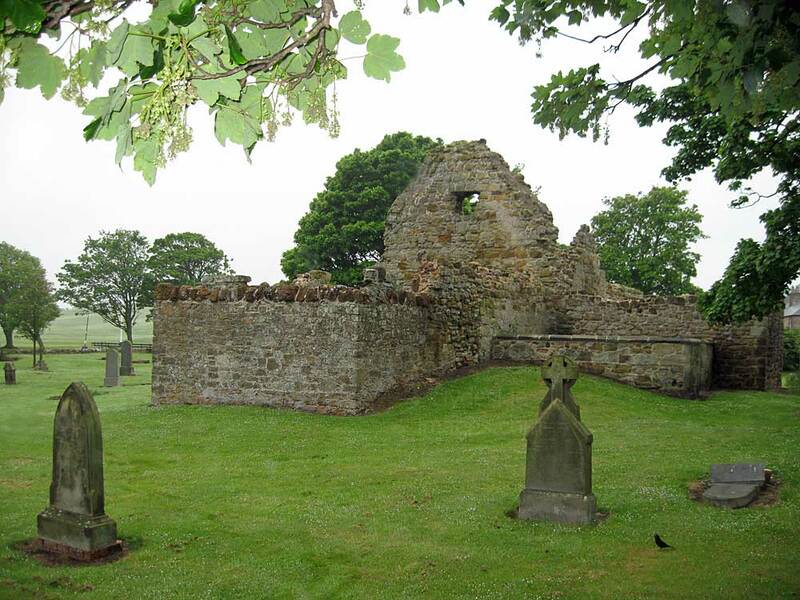 A plan, available in the ‘history hut’ on the south side of the Chapel, assists in identifying individual graves. 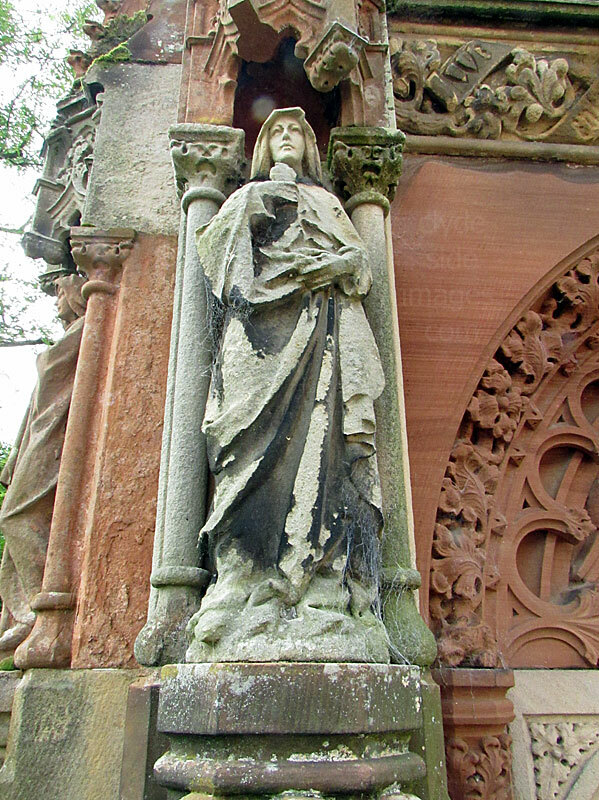 The most prominent memorial is to Francis Robert St Clair-Erskine, the fourth Earl of Rosslyn (1833-1890). 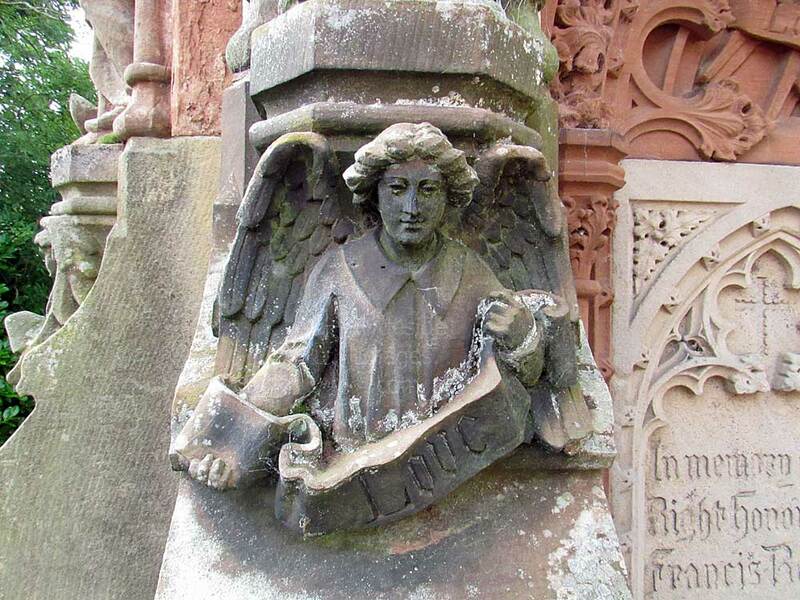 He was instrumental in instigating restoration work inside the Chapel and was buried, at his request, in the Chapel grounds. He was an accomplished poet and published several volumes of his works. And they are welcome best who suffered most. 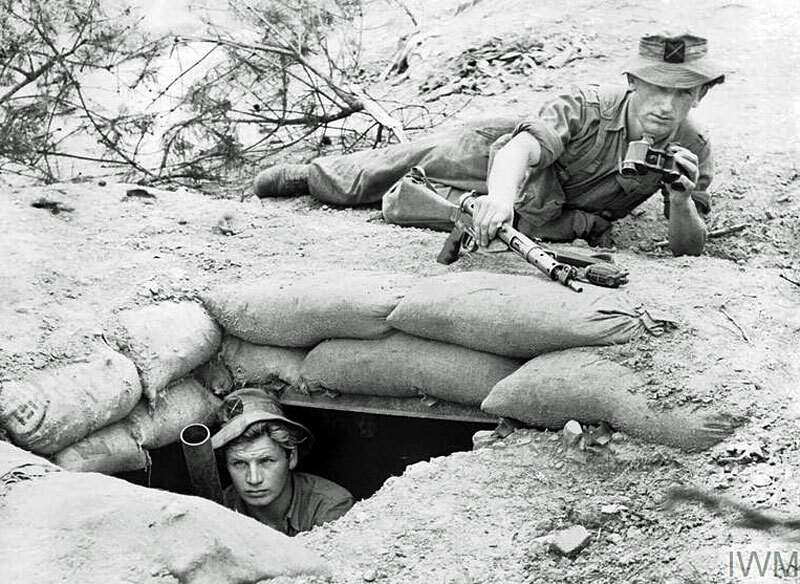 "We enter Life but through the gates of Death". 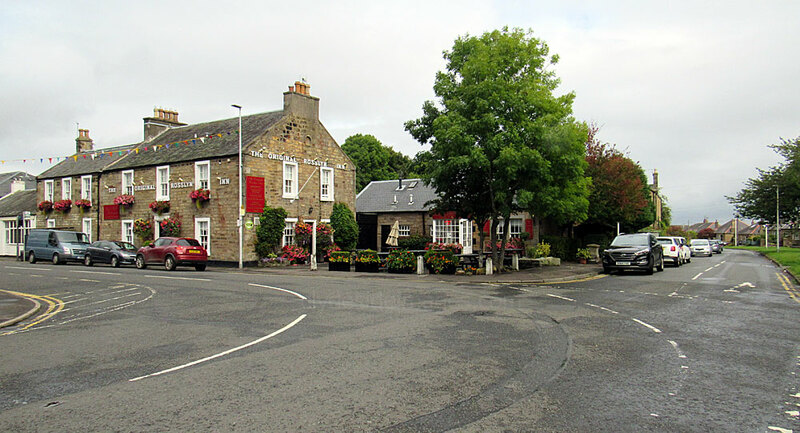 Apart from Rosslyn Chapel, there are a couple of interesting buildings in the village, one of which is the old Rosslyn Inn (right) (circa 1660-1866). 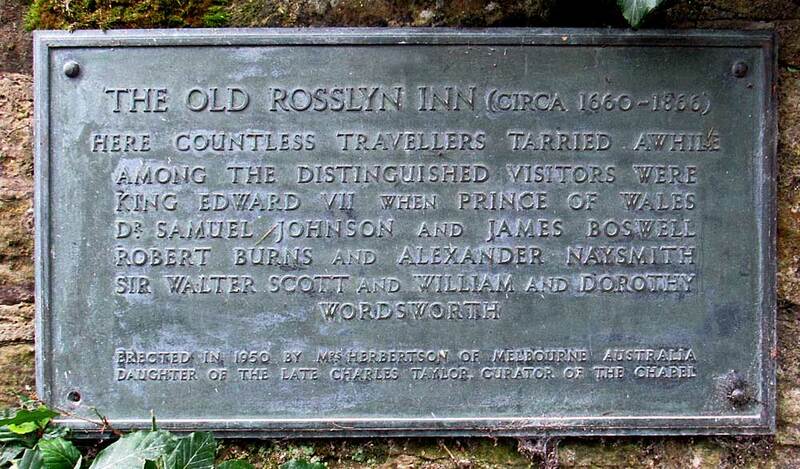 A number of noteworthy characters visited the hostelry including King Edward VII when he was Prince of Wales, Dr Samuel Johnson and James Boswell, plus Robert Burns, Sir Walter Scott, artist Alexander Nasmyth and William and Dorothy Wordsworth. 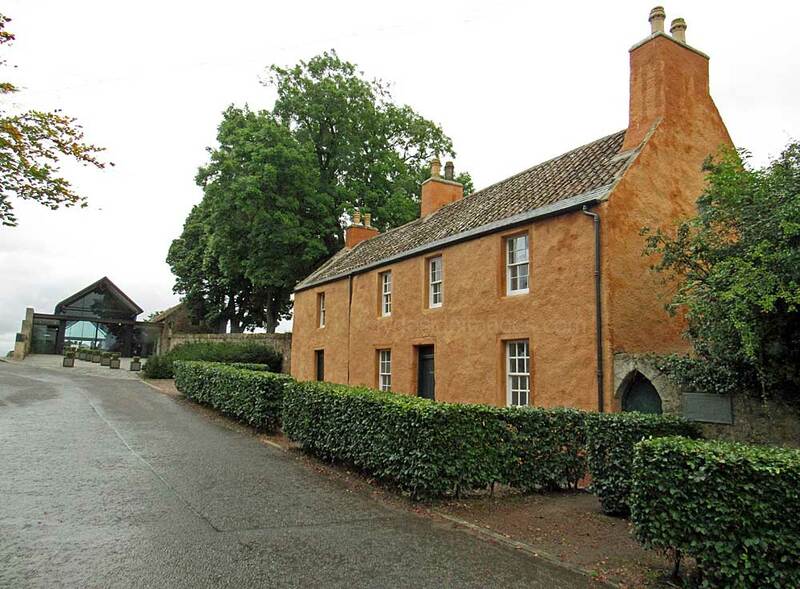 A short 10-minute walk, downhill from the Chapel leads past Collegehill House, a former coaching inn, to Rosslyn Castle which was was ancestral home of the St Clair family. It is located in Roslin Glen, an area of outstanding natural beauty with walks through ancient woodland which is rich in wildlife. 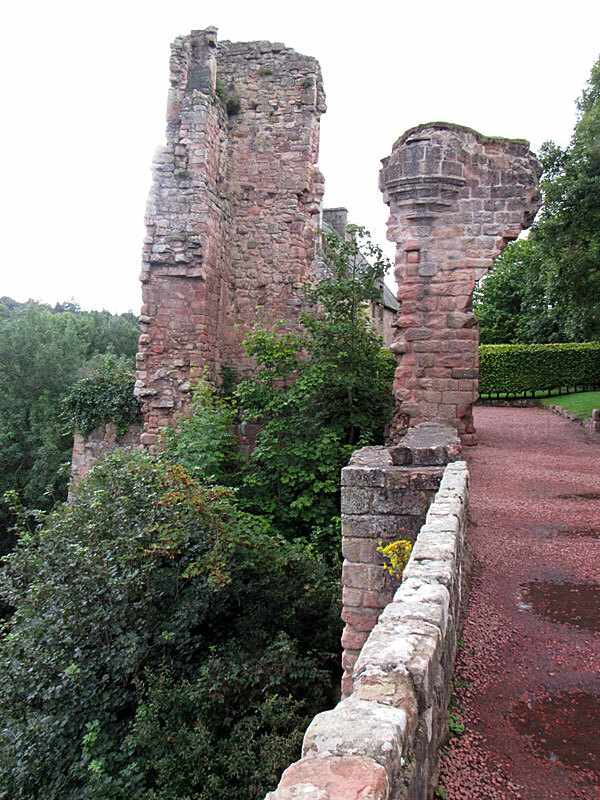 The castle occupies the top of a rocky promontory and is surrounded on three sides by the River North Esk. The stone wall on either side of the entrance is low with steep drops to the valley bottom so great care should be taken, especially with young children. 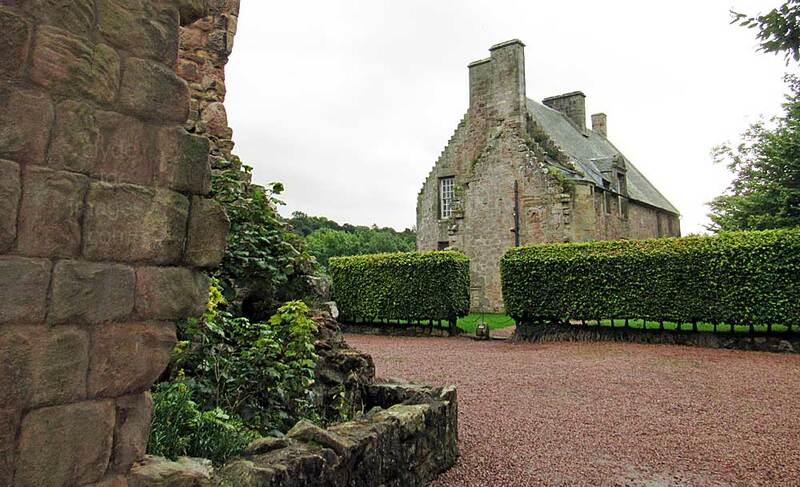 The earliest part of the castle dates from 1304 and the present house, which was built in 1622, is not open to visitors but can be leased as holiday accommodation. Roslin Glen also has an important industrial and cultural heritage, as it was once home to Scotland’s largest gunpowder mill, with the waterwheels powered by the river. For a century, between 1868 and 1968, a carpet factory also operated. Additional images and information can be found on my blog, Clydeside Images.com. 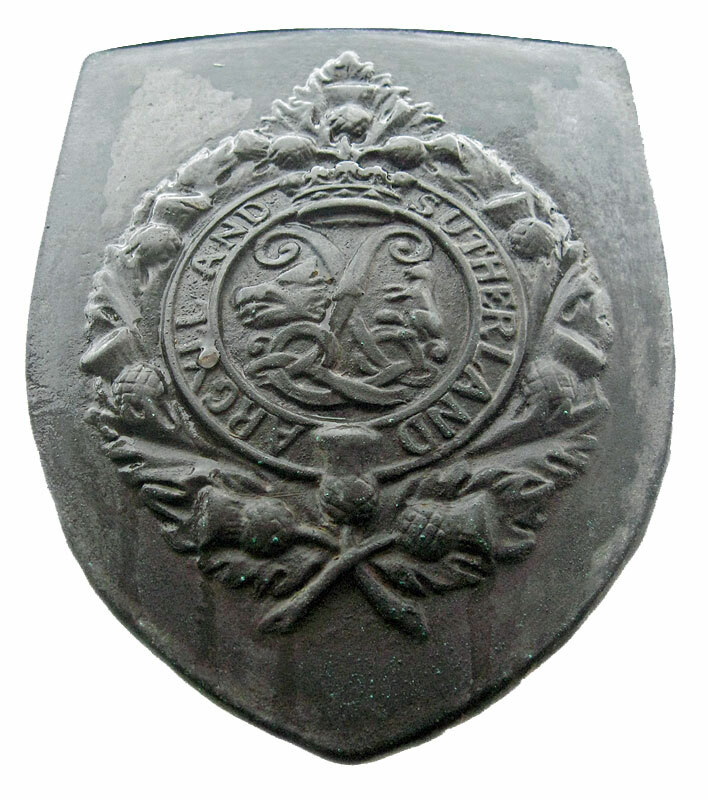 Further War Memorial and Military History content, not exclusively relating to Scotland, may also feature in the galleries of individual countries on this site. Also, check out my Stock Photography Archive for even more shots.